Absolutely unique in appearance, design and performance! AND you’ll be able to load it on your vehicle without help. If a single kayak has the ability to do it all, the Wood Duck 12 is it. Touring, fishing, photography, camping . . . stable, quick, comfortable with a roomy cockpit . . . tracks well and responds nicely to steering strokes. 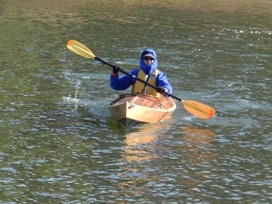 The Wood Duck 12 is an outstanding design for the novice yet it rewards skillful paddlers with exceptional performance. Many paddlers “grow out” of a design that doesn’t respond to their increases in skill -- the Wood Duck is a design that paddlers of all levels will enjoy “growing into”. A perky bow and stern contribute to the sublime good looks: an attractive shear line. 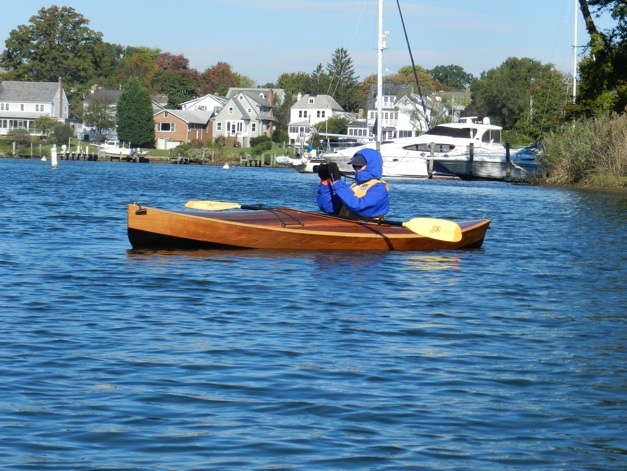 While extremely seaworthy, the Wood Duck makes for great paddling in any venue . . . mountain lakes and streams, open ocean and tidal estuaries. The Wood Duck boasts significant storage capacity via an optional large watertight aft hatch. Several seating options insure a glove-like fit as well as the comfort and security of your favorite easy-chair. 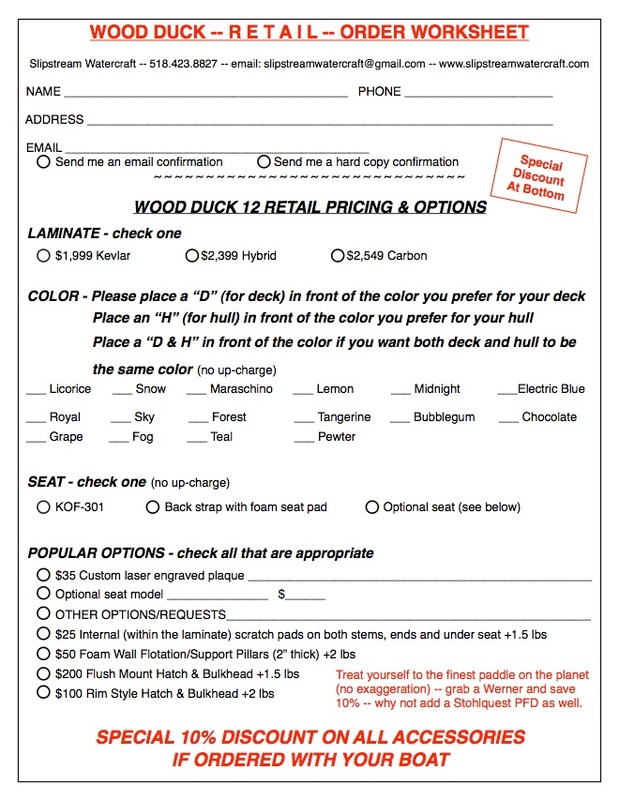 We dare you to test paddle the Wood Duck! any boat . . . especially a kayak! will help in your selection. 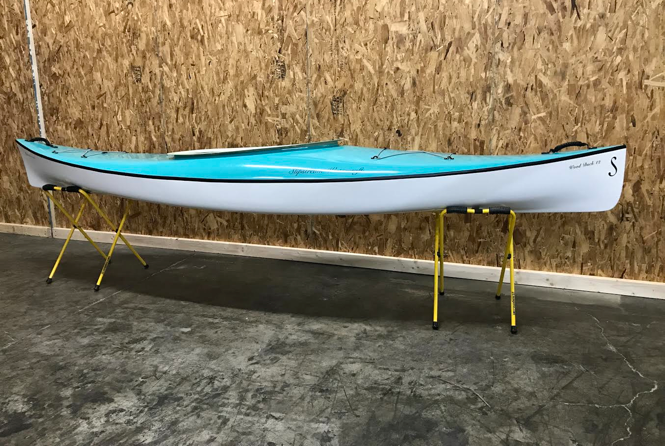 While this photo is of a Wood Duck 12 constructed from marine plywood ala CLC Boats, Slipstream offers the design in kevlar, hybrid & carbon.